As a homeowner, you’ll likely be able to identify the potential problems a season can cause to your home. The problems summer can cause are obvious; everything is too hot, the garden will grow out of control in the blink of an eye, and cooking indoors can become akin to torture. It’s fairly easy to see the problems that winter (snow, ice, burst pipes) and fall (leaves clogging drains) can cause too… but spring? Spring seems like the innocent season. With winter fading into a distant memory, your mindset changes. No longer are your home-related tasks centered on providing heating and insulation; now you’re going to have to think about keeping cool. You busy yourself with tasks like calling out HVAC experts to service your air conditioning and ensuring you have adequate ventilation. These tasks might pay off; if there’s an unusually hot spring, you’ll be glad that you got these tasks under control. However, if there’s a cool spring, or a spring that seems to change its mind regarding the temperature every other day, then you can find yourself stranded in limbo. As a general rule, wait until May 1st before you completely transition your home over to maintaining coolness rather than preserving heat. Spring is traditionally a stormy season, as the established cool weather begins to meet warm fronts pushing in for the new season. Storms can be potentially catastrophic to your home, with issues ranging from damaged roof tiles to uprooted trees. If you live in a storm-prone area, then monitoring the weather forecast is an absolute essential. The best way to do this is by monitoring a weather radar. Radars are updated live, so they tend to be a better representation of any potential problems that might be coming your way. Checking a forecast is also useful, but for the most part, a radar is far more reliable and specific. As the world begins to awaken from its winter slumber, there is one unfortunate return: household pests. Spiders, ants, cockroaches, and rodents will all begin to emerge from their winter dormancy at the onset of spring, so it’s absolutely vital that you know how to spot signs of an unwanted home visitor. If you do see the signs of pests in your home, address the problem ASAP— the issue will only get worse as the weather warms through to summer. 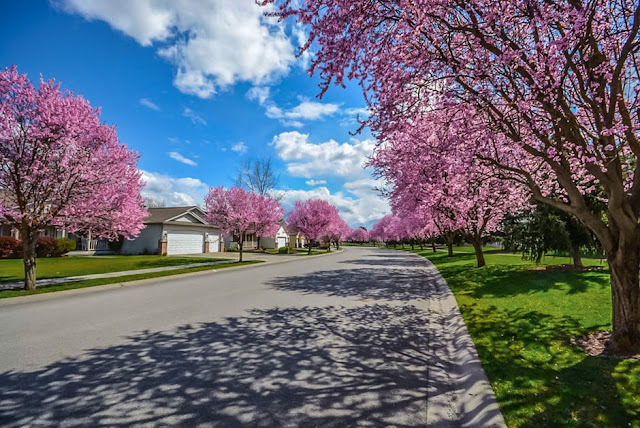 Spring may not be the toughest season on your home, but it does present its own challenges. By keeping the above in mind, you can be sure your home can be in the best possible condition throughout this transitional season.